The protest comes ahead of a similar work stoppage due on Monday in Madrid just two days before the Fitur international tourism fair, one of the world's largest, in the Spanish capital. 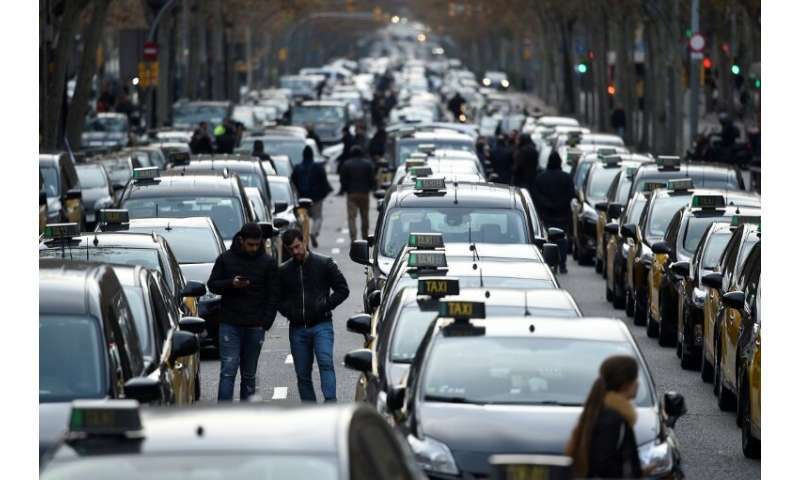 The strike follows new regulations unveiled Friday by Catalonia's regional government forcing clients to book VTCs (Tourism Vehicles with Chauffeur) like Uber or Cabify at least 15 minutes before the actual time they are needed - a measure criticised as unfair by taxi drivers. "From now, us taxis will go on strike indefinitely in the Gran Via," a street that crosses Barcelona, federation Elite Taxi said in a statement.